Below are four key search engine optimization (SEO) lessons from the report. 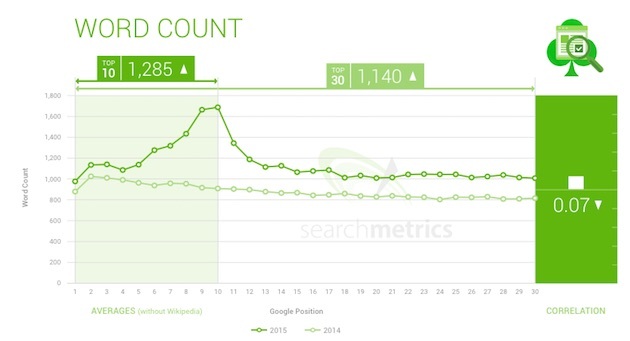 To see the complete list of correlations to search rankings, check out the full analysis. Higher-ranking pages tend to have more words and are better able to give searchers the information they are looking for by covering topics more comprehensively, as well as being easier to read and understand, the analysis found. Since last year. the average word count on pages in the top 10 search results has increased by around a quarter (rising from 975 to 1,285 words, on average). Websites that rank higher tend to be better structured and tend to offer a more user-friendly experience. 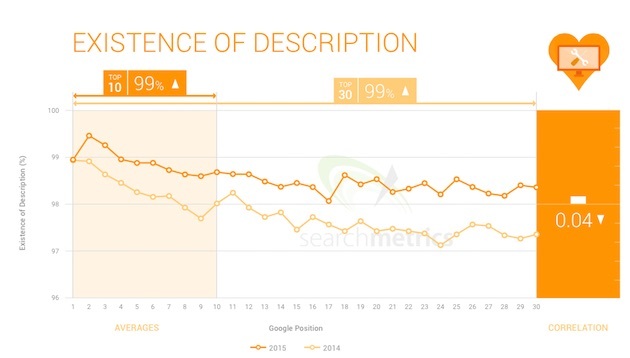 For example, there is a positive correlation—albeit relatively slight—between search rankings and responsive design. 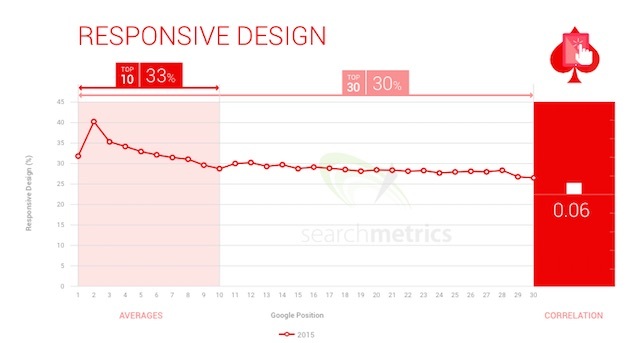 In other words, the better a page ranks, the more likely it is to have employed responsive Web design. Technical factors, such as having a title tag in a Web page’s underlying source code, and having pages that are quick to load, are standard requirements that almost all pages in the top 30 results meet. For example, 99% of sites in the top 30 search results have descriptions. 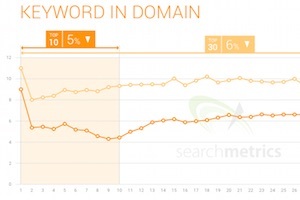 The correlation between keywords and high search rankings has decreased across the board. More and more high-ranking sites are not using the corresponding target keyword in the body, description, or links, the analysis found. Sites are also using keywords less in URLs themselves, with only 6% doing so in the 2015 study.